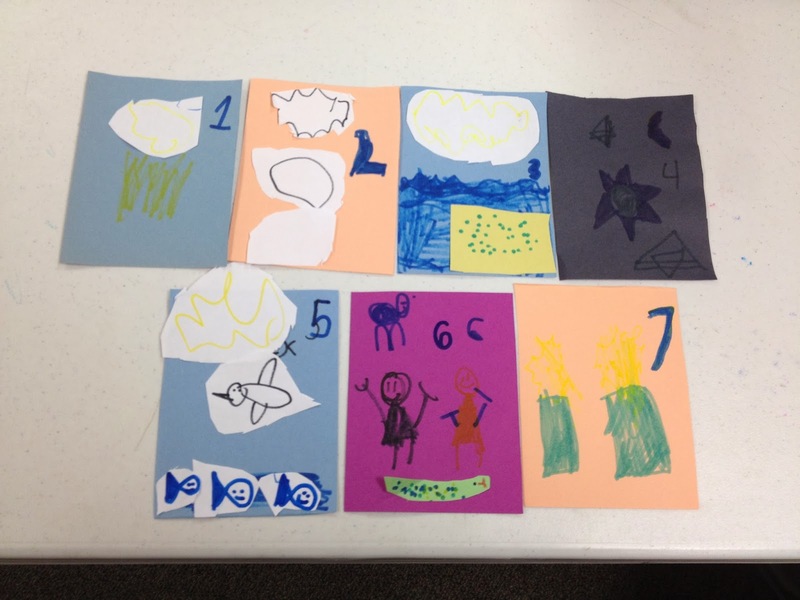 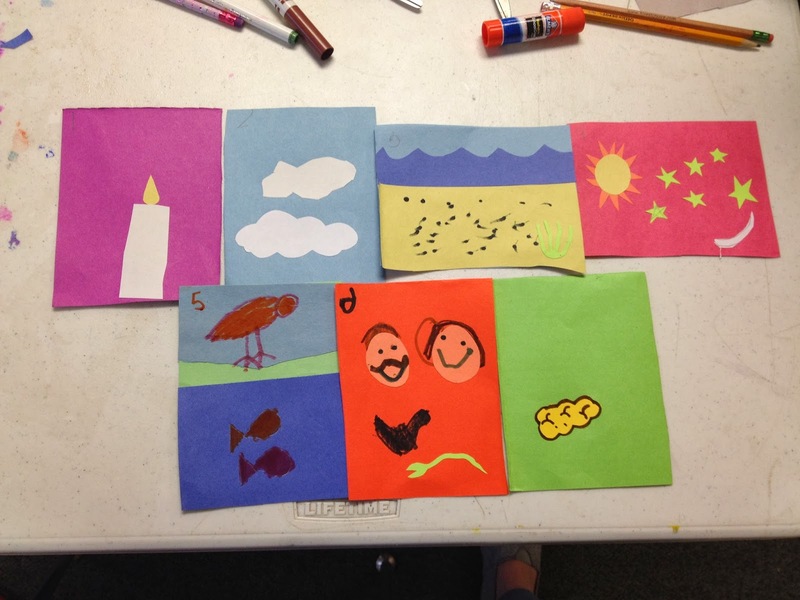 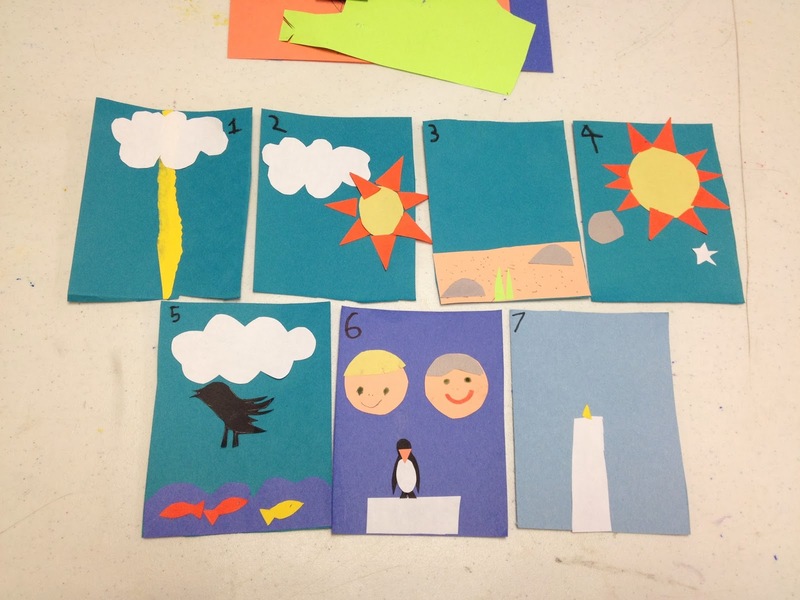 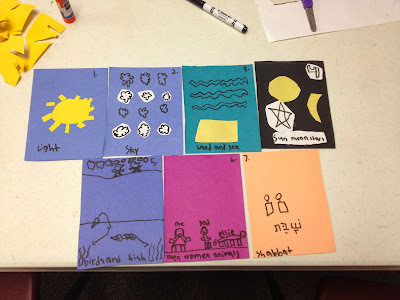 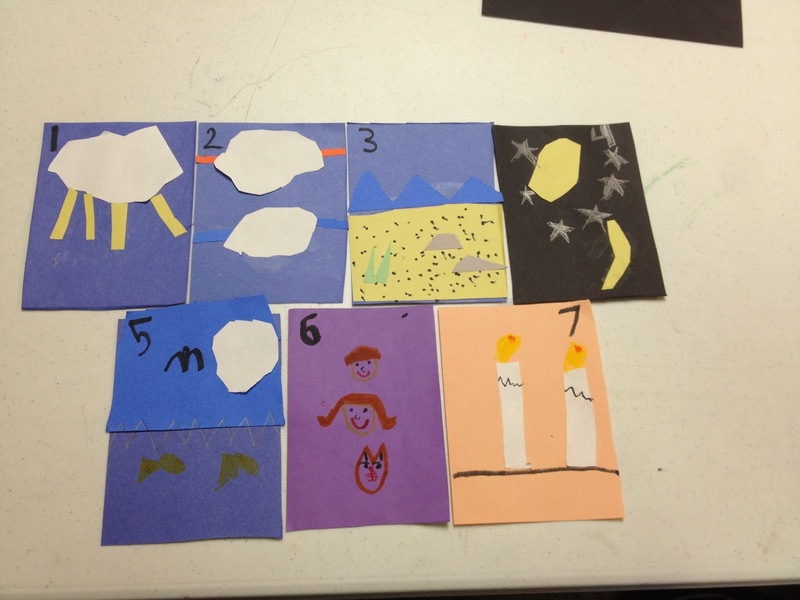 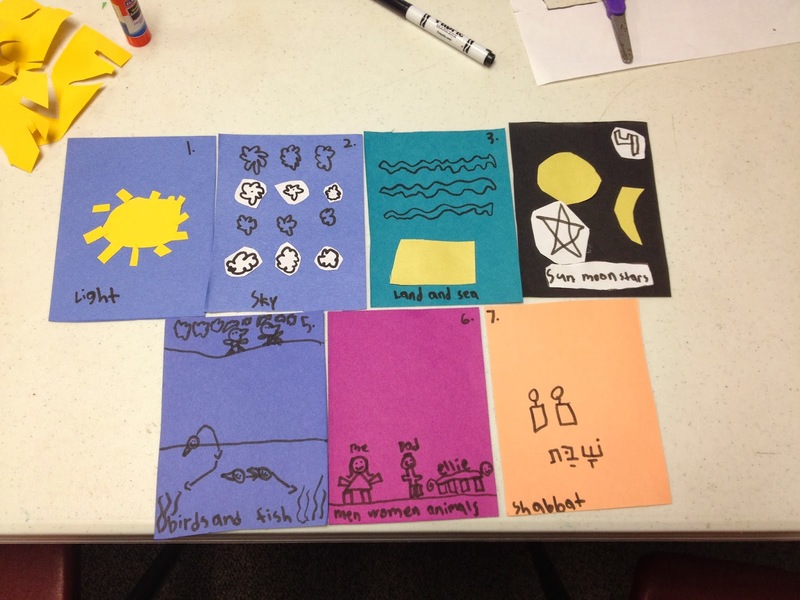 In my last post, I posted my lesson plan and example cards for a Sunday School craft I called, Creation Cards. 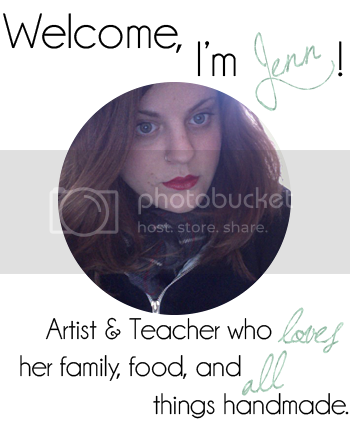 I meant to post the results sooner but alas the Holiday Season is upon us and I'm officially 36 weeks pregnant. 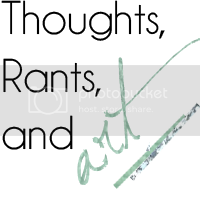 I'm really happy with the way this project turned out and will most likely use it again. 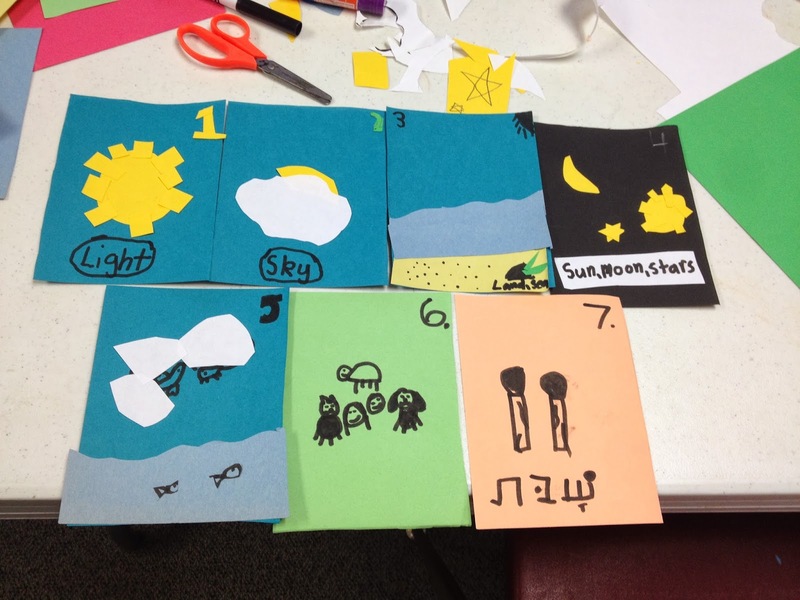 The kids really loved cutting, pasting and creating their own options within in the seven days.